We offer a wide range of services, pertaining to chimneys, heating appliances and masonry repair and construction on your home. Our qualified inspectors will assess the condition of your chimney, and offer a free estimate on repair or replacement. Repair is our first choice, if possible, in the interest of reducing costs. The repointing process involves grinding out existing mortar joints with diamond wheels, or chipping with chisels in the case of stone construction. The depth of the grinding varies between 3/4", and 2", depending on whether the chimney is Brick or Stone. The chimney is then washed, and any loose or damaged stones or bricks are replaced or reset. The chimney is now ready to be repaired, which involves packing fresh mortar into the open joints, in order to seal the exterior of the chimney and give it a fresh lease on life. An optional spray on sealant is also offered, to further prolong the life and efficiency of the chimney. If, however, the chimney has deteriorated beyond the point of repair, we will offer a quote to rebuild. 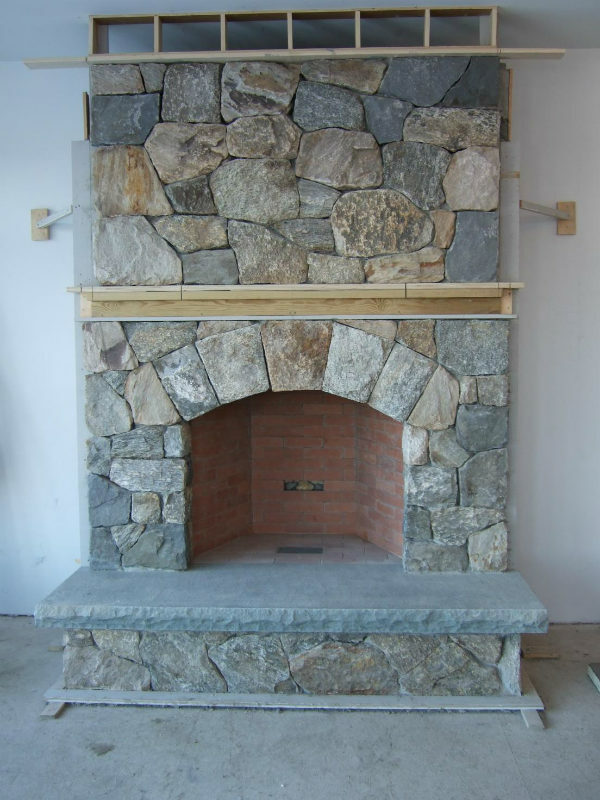 Our professional, certified masons will build you a new chimney from the ground up. In some cases, the bottom of the chimney can be repointed, while the top requires replacement. We take pride in working safely, and leaving the completed jobsite as clean as possible. Our work is exemplary, and second to none. We offer a full range of stainless steel liner and chimney sizes and types, to fit any home or commercial heating requirement. Today's building code, calls for a gas tight seal, from the heating appliance to the top of the chimney. Many older masonry chimneys cannot meet these criteria. They may not be lined at all, the existing clay liners may be damaged, or the mortar between the liner sections may be deteriorated. In this case, a stainless steel liner is required in order to meet code requirements, as well as keep your home safe. CO, carbon monoxide, is a deadly poison, and a byproduct of heating combustion. If your chimney lining is flawed, missing or otherwise compromised, this deadly poison could be released into your home. Professional installation of a stainless steel liner eliminates this potential hazard. Stainless steel, prefabricated chimneys are often a suitable and economical solution as well, for venting either Wood, Oil or Pellet appliances. We offer professional installation of a wide range of chimney sizes and options, to suit any potential need. 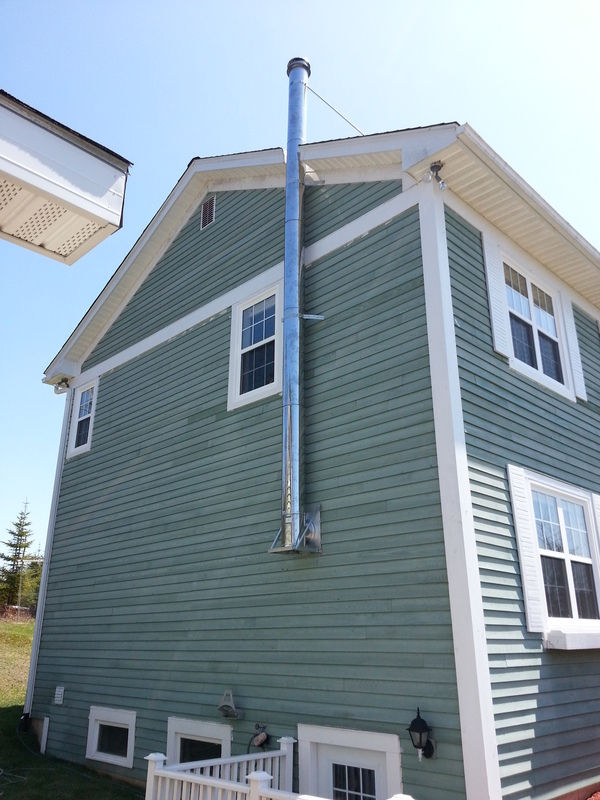 New construction, new installations or replacement of existing flues, are all services we offer. 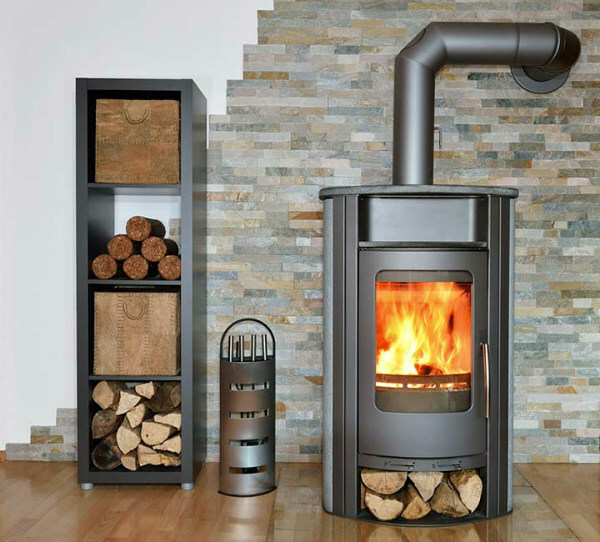 The Chimney Specialist 2012 offers a good selection of EPA approved Wood and Pellet Appliances. All are backed by full manufacturer’s warranty, and we service what we sell. Manufacturer’s links can be found below, in order to browse products and specifications. Whatever your space, whatever your need, we can help you make an informed decision that will ensure long-term warmth and satisfaction. We Are a Full Service Business. As much as possible, we offer a full range of services pertaining to your Wood and Pellet heating needs. We offer custom work, including copper, stainless steel or black metal shielding to reduce clearances to combustibles. We also offer a full range of custom tile and stonework, including complete hearths, hearth extensions, heat shielding and decorative work. Our goal is to be your one stop shop, for wood and pellet heating. We do exemplary work, our workers are polite and considerate of your home, and we take pride in maintaining and leaving a clean jobsite. We understand that our workspace is your living space, and make every effort to minimize our footprint in your home.